The report of HIGH importance (USD University of Michigan Confidence) has now been announced (2.55pm). The market is still trending sideways. The previous pending orders remain the same. Today is a public holiday in UK due to the Royal Wedding and there is also a report of HIGH importance due out at 2.55pm. Due to these factors, there is a HIGH probability that the markets will trend sideways. Trade with extreme caution today. The market is currently trending sideways. A pending BUY order has been placed just above R1 at 14894 and a pending SELL order just below the Support of the Market at 14770. The USD GDP report has been announced. 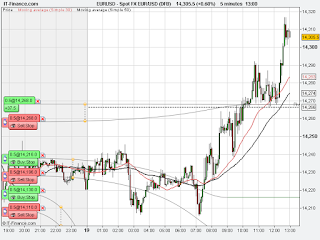 A pending BUY order has been placed just above R1 at 14840 and a pending SELL order just below the Pivot Point at 14733. 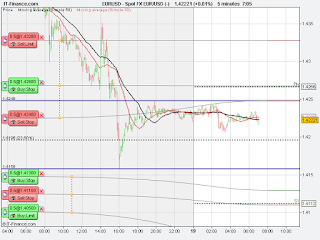 The Stop loss was taken at 8.15am with a loss of 20points. No further trades till announcement of report at 1.30pm. The pending SELL order just below R1 at 14836 was taken at 7.10am with a Stop Loss of 20points and Profit Limit of 60points in place. There is a report of HIGH importance (US GDP) due out at 1.30pm. 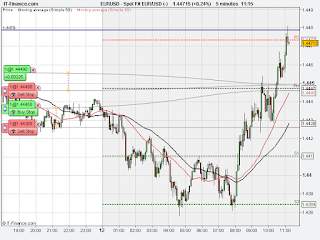 Trade cautiously prior to 1.30pm. A pending SELL order has been placed just below R1 at 14836. 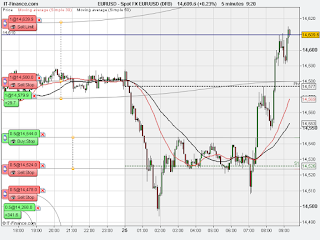 The Profit Target of 60points was achieved at 8.30pm. 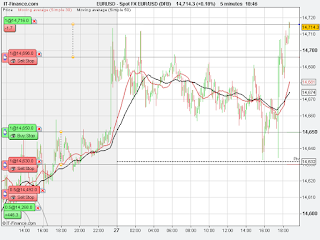 The pending BUY order at 14716 was taken at 6.40pm with a 20points Stop Loss and 60points Profit Limit in place. The US Interest Rate Decision is due to be announced in a couple of minutes. The market is still trending sideways. 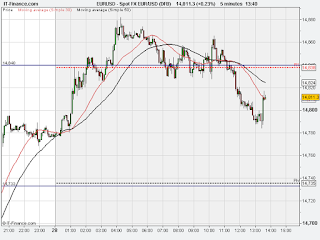 The pending BUY order has now been moved to just above the Resistance of the Market at 14716. 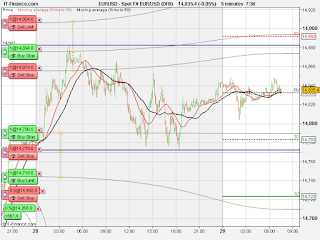 The pending SELL order is still the same just below the Pivot Point at 14630. The US interest rate decision will be announced at 5.30pm UK time. This is a report of extremely HIGH importance hence trade very cautiously prior to this announcement. A pending BUY order has been placed just above R1 at 14772 and a pending SELL order just below the Pivot Point at 14630. The Profit Limit of 60points was reached at 10.10am. End of trading today!! The market has moved halfway (30points) towards the Profit target (60points). 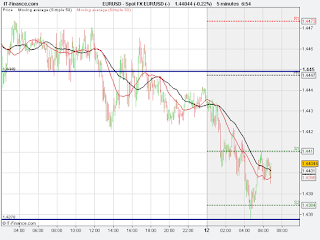 The Stop Loss has been moved to the opening level in order to protect capital. The Profit limit has been left in place. The pending BUY order just above the Pivot Point at 14579 was taken at 8.30am with a 20points Stop loss and 60points Profit Limit in place. There is a report of HIGH importance due out today at 3pm UK time. 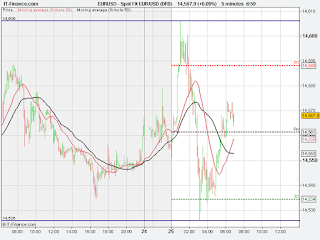 Trade with extreme caution prior to 3pm. The market is currently trending sideways. 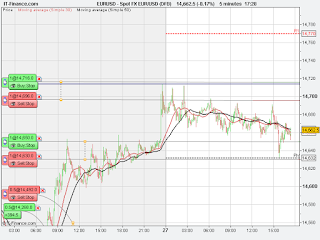 A pending BUY order has been placed just above the Pivot Point a 14579. The pending BUY order just above the Pivot Point at 14268 was taken at 9.55am with a Stop loss of 20points and Profit Limit of 60points in place. The market has now moved halfway (30points) towards the profit target, hence the Stop loss has been moved to the opening level of 14268 in order to protect capital. The 60points profit limit has been left in place. 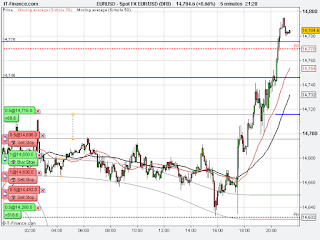 A pending BUY order has been placed just above the Pivot point at 14268 and a pending SELL order just below S1 at 14110. The market has moved halfway (30points) towards the profit target. 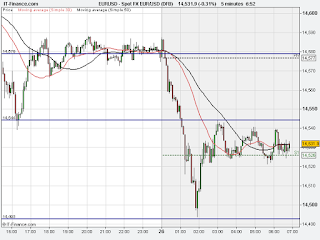 The Stop loss has been moved to the opening level of 14449 in order to protect capital. The profit limit of 60points has been left in place. The 2nd trade, the pending BUY order at 14449 just above the Pivot point, was taken at 10.30am with a 20points Stop loss and 60points Profit limit in place. 1st trade stopped out at 10.10am with the loss of 20points. A pending BUY order has now been placed just above the Pivot point at 14449 and a pending SELL order just below S1 at 14408. The pending BUY order at 14449, just above the Pivot point, was taken at 9.35am with a 20points Stop loss and 60points Profit limit in place. A report of HIGH importance is due out at 10am UK time. 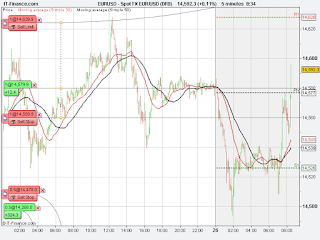 Trade with caution prior to report release. 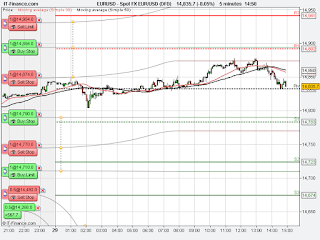 A pending BUY order has been placed just above the Pivot point at 14449. There are no clear SELL trade opportunities.